John Wilbanks on health data donation, contextual privacy, and open networks. As I wrote earlier this year in an ebook on data for the public good, while the idea of data as a currency is still in its infancy, it’s important to think about where the future is taking us and our personal data. If the Obama administration’s smart disclosure initiatives gather steam, more citizens will be able to do more than think about personal data: they’ll be able to access their financial, health, education, or energy data. In the U.S. federal government, the Blue Button initiative, which initially enabled veterans to download personal health data, is now spreading to all federal employees, and it also earned adoption at private institutions like Aetna and Kaiser Permanente. Putting health data to work stands to benefit hundreds of millions of people. The Locker Project, which provides people with the ability to move and store personal data, is another approach to watch. The promise of more access to personal data, however, is balanced by accompanying risks. Smartphones, tablets, and flash drives, after all, are lost or stolen every day. Given the potential of mhealth, and big data and health care information technology, researchers and policy makers alike are moving forward with their applications. As they do so, conversations and rulemaking about health care privacy will need to take into account not just data collection or retention but context and use. Would, for instance, those rights include the ability to donate personal data to a data commons, much in the same way organs are donated now for research? That question isn’t exactly hypothetical, as the following interview with John Wilbanks highlights. 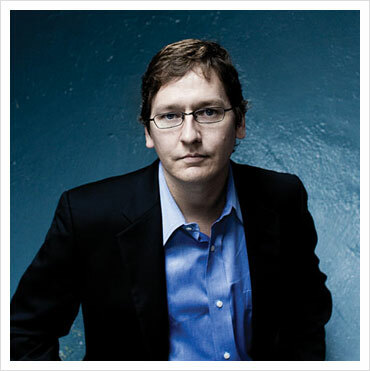 Wilbanks, a senior fellow at the Kauffman Foundation and director of the Consent to Research Project, has been an advocate for open data and open access for years, including a stint at Creative Commons; a fellowship at the World Wide Web Consortium; and experience in the academic, business, and legislative worlds. Wilbanks will be speaking at the Strata Rx Conference in October. Where did you start your career? Where has it taken you? John Wilbanks: I got into all of this, in many ways, because I studied philosophy 20 years ago. What I studied inside of philosophy was semantics. In the ’90s, that was actually sort of pointless because there wasn’t much semantic stuff happening computationally. In the late ’90s, I started playing around with biotech data, mainly because I was dating a biologist. I was sort of shocked at how the data was being represented. It wasn’t being represented in a way that was very semantic, in my opinion. I started a software company and we ran that for a while, [and then] sold it during the crash. I went to the Worldwide Web Consortium, where I spent a year helping start their Semantic Web for Life Sciences project. While I was there, Creative Commons (CC) asked me to come and start their science project because I had known a lot of those guys. When I started my company, I was at the Berkman Center at Harvard Law School, and that’s where Creative Commons emerged from, so I knew the people. I knew the policy and I had gone off and had this bioinformatics software adventure. I spent most of the last eight years at CC working on trying to build different commons in science. We looked at open access to scientific literature, which is probably where we had the most success because that’s copyright-centric. We looked at patents. We looked at physical laboratory materials, like stem cells in mice. We looked at different legal regimes to share those things. And we looked at data. We looked at both the technology aspects and legal aspects of sharing data and making it useful. A couple of times over those years, we almost pivoted from science to health because science is so institutional that it’s really hard for any of the individual players to create sharing systems. It’s not like software, where anyone with a PC and an Internet connection can contribute to free software, or Flickr, where anybody with a digital camera can license something under CC. Most scientists are actually restricted by their institutions. They can’t share, even if they want to. Health kept being interesting because it was the individual patients who had a motivation to actually create something different than the system did. At the same time, we were watching and seeing the capacity of individuals to capture data about themselves exploding. So, at the same time that the capacity of the system to capture data about you exploded, your own capacity to capture data exploded. That, to me, started taking on some of the interesting contours that make Creative Commons successful, which was that you didn’t need a large number of people. You didn’t need a very large percentage of Wikipedia users to create Wikipedia. You didn’t need a large percentage of free software users to create free software. If this capacity to generate data about your health was exploding, you didn’t need a very large percentage of those people to create an awesome data resource: you needed to create the legal and technical systems for the people who did choose to share to make that sharing useful. Since Creative Commons is really a copyright-centric organization, I left because the power on which you’re going to build a commons of health data is going to be privacy power, not copyright power. What I do now is work on informed consent, which is the legal system you need to work with instead of copyright licenses, as well as the technologies that then store, clean, and forward user-generated data to computational health and computational disease research. What are the major barriers to people being able to donate their data in the same way they might donate their organs? John Wilbanks: Right now, it looks an awful lot like getting onto the Internet before there was the web. The big ISPs kind of dominated the early adopters of computer technologies. You had AOL. You had CompuServe. You had Prodigy. And they didn’t communicate with each other. You couldn’t send email from AOL to CompuServe. What you have now depends on the kind of data. If the data that interests you is your genotype, you’re probably a 23andMe customer and you’ve got a bunch of your data at 23andMe. If you are the kind of person who has a chronic illness and likes to share information about that illness, you’re probably a customer at PatientsLikeMe. But those two systems don’t interoperate. You can’t send data from one to the other very effectively or really at all. On top of that, the system has data about you. Your insurance company has your billing records. Your physician has your medical records. Your pharmacy has your pharmacy records. And if you do quantified self, you’ve got your own set of data streams. You’ve got your Fitbit, the data coming off of your smartphone, and your meal data. Almost all of these are basically populating different silos. In some cases, you have the right to download certain pieces of the data. For the most part, you don’t. It’s really hard for you, as an individual, to build your own, multidimensional picture of your data, whereas it’s actually fairly easy for all of those companies to sell your data to one another. There’s not a lot of technology that lets you share. What are some of the early signals we’re seeing about data usage moving into actual regulatory language? John Wilbanks: The regulatory language actually makes it fairly hard to do contextual privacy waiving, in a Creative Commons sense. It’s hard to do granular permissions around privacy in the way you can do granular conditional copyright grants because you don’t have intellectual property. The only legal tool you have is a contract, and the contracts don’t have a lot of teeth. It’s pretty hard to do anything beyond a gift. It’s more like organ donation, where you don’t get to decide where the organs go. What I’m working on is basically a donation, not a conditional gift. The regulatory environment makes it quite hard to do anything besides that. There was a public comment period that just finished. It’s an announcement of proposed rulemaking on what’s called the Common Rule, which is the Department of Health and Human Services privacy language. It was looking to re-examine the rules around letting de-identified data or anonymized data out for widespread use. They got a bunch of comments. There’s controversy as to how de-identified data can actually be and still be useful. There is going to be, probably, a three-to-five year process where they rewrite the Common Rule and it’ll be more modern. No one knows how modern, but it will be at least more modern when that finishes. Then there’s another piece in the US — HIPAA — which creates a totally separate regime. In some ways, it is the same as the Common Rule, but not always. I don’t think that’s going to get opened up. The way HIPAA works is that they have 17 direct identifiers that are labeled as identifying information. If you strip those out, it’s considered de-identified. There’s an 18th bucket, which is anything else that can reasonably identify people. It’s really hard to hit. Right now, your genome is not considered to fall under that. I would be willing to bet within a year or two, it will be. From a regulatory perspective, you’ve got these overlapping regimes that don’t quite fit and both of them are moving targets. That creates a lot of uncertainty from an investment perspective or from an analytics perspective. How are you thinking about a “health data commons,” in terms of weighing potential risks against potential social good? John Wilbanks: I think that that’s a personal judgment as to the risk-benefit decision. Part of the difficulty is that the regulations are very syntactic — “This is what re-identification is” — whereas the concept of harm, benefit, or risk is actually something that’s deeply personal. If you are sick, if you have cancer or a rare disease, you have a very different idea of what risk is compared to somebody who thinks of him or herself as healthy. What we see — and this is born out in the Framingham Heart Study and all sorts of other longitudinal surveys — is that people’s attitudes toward risk and benefit change depending on their circumstances. Their own context really affects what they think is risky and what they think isn’t risky. I believe that the early data donors are likely to be people for whom there isn’t a lot of risk perceived because the health system already knows that they’re sick. The health system is already denying them coverage, denying their requests for PET scans, denying their requests for access to care. That’s based on actuarial tables, not on their personal data. It’s based on their medical history. If you’re in that group of people, then the perceived risk is actually pretty low compared to the idea that your data might actually get used or to the idea that you’re no longer passive. Even if it’s just a donation, you’re doing something outside of the system that’s accelerating the odds of getting something discovered. I think that’s the natural group. If you think back to the numbers of users who are required to create free software or Wikipedia, to create a cultural commons, a very low percentage is needed to create a useful resource. Depending on who you talk to, somewhere between 5-10% of all Americans either have a rare disease, have it in their first order family, or have a friend with a rare disease. Each individual disease might not have very many people suffering from it, but if you net them all up, it’s a lot of people. Getting several hundred thousand to a few million people enrolled is not an outrageous idea. When you look at the existing examples of where such commons have come together, what have been the most important concrete positive outcomes for society? John Wilbanks: I don’t think we have really even started to see them because most people don’t have computable data about themselves. Most people, if they have any data about themselves, have scans of their medical records. What we really know is that there’s an opportunity cost to not trying, which is that the existing system is really inefficient, very bad at discovering drugs, and very bad at getting those drugs to market in a timely basis. That’s one of the reasons we’re doing this is as an experiment. We would like to see exactly how effective big computational approaches are on health data. The problem is that there are two ways to get there. One is through a set of monopoly companies coming together and working together. That’s how semiconductors work. The other is through an open network approach. There’s not a lot of evidence that things besides these two approaches work. Government intervention is probably not going to work. Obviously, I come down on the open network side. But there’s an implicit belief, I think, both in the people who are pushing the cooperating monopolies approach and the people who are pushing the open networks approach, that there’s enormous power in the big-data-driven approach. We’re just leaving that on the table right now by not having enough data aggregated. The benefits to health that will come out will be the ability to increasingly, by looking at a multidimensional picture of a person, predict with some confidence whether or not a drug will work, or whether they’re going to get sick, or how sick they’re going to get, or what lifestyle changes they can make to mitigate an illness. Right now, basically, we really don’t know very much.